Right. I have no idea if this will actually work like I hope it will – only by someone testing it out for me will I know. Just cause it works for ME, doesn’t mean it will work for everyone. What I was trying to accomplish was to create a Photoshop brush set of my recent ATC backs. I thought this would be useful. Is it more useful than the PDF? Not sure. What it does allow you to do is to set the colour of the text and the little image to anything you want, using the eyedropper. I THINK if you just install the brushes, and use them in their native setting (so don’t touch the slider to resize them) they will “stamp” at 3.5 x 2.5, as they should for ATCs. You can see that, perhaps, here? 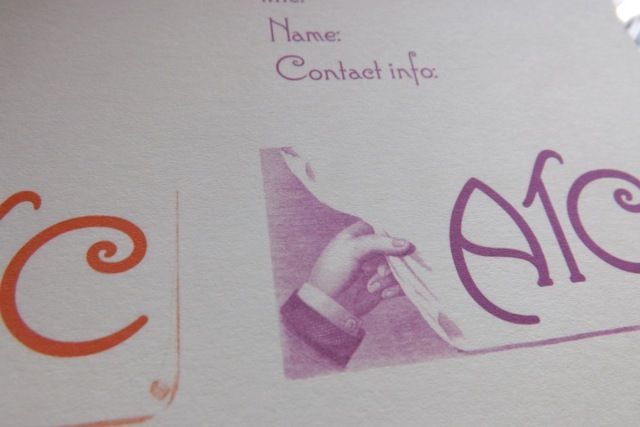 Can you see the purple is the already stamped brush and the sort of black outline is the brush image? 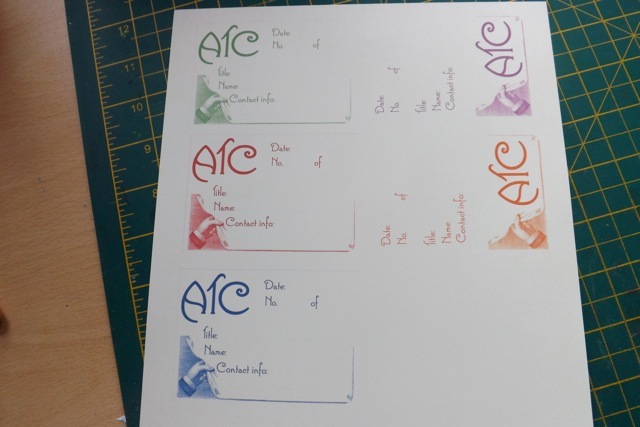 I created a bunch of .jpg files, each a different colour, then printed them on one sheet of cream cardstock. It doesn’t LOOK cream here, but it really is. What got lost was the lines for writing on – you can see them on the cream but they are very faint. Making the images into brushes was actually super simple, as was saving them as an .abr file. What isn’t easy is making it downloadable from WordPress. DOH! I thought I remembered that a zipped file could be uploaded, but it can’t. I’ll have to pop it on to Dropbox and you can grab it there. If you do, please let me know how it all works for you – does it unzip ok? When you double-click it, does PSE open and does the brush set get installed? Does the brush set have a different name? Is this useful at all? 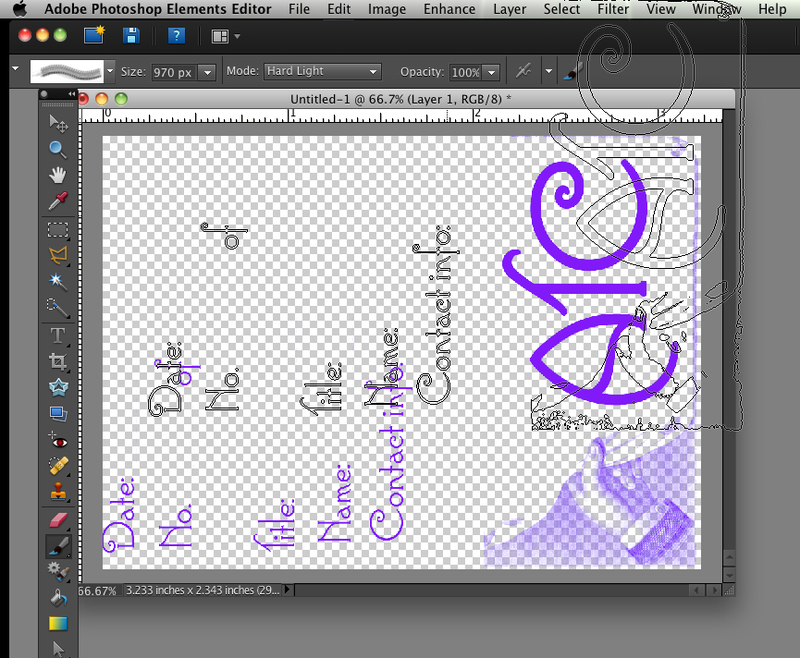 Categories: ATCs, printables | Tags: Adobe Photoshop, ATC, Brush, printables | Permalink.